Say hello to the sunshine with our new Faize jacquard tunic. You're bound to catch the eye in this quirky, stylish tunic, which features a unique and vibrant horizontal jacquard stripe on the upper body, and a vertical jacquard stripe on the lower body. Two large practical pockets allow you to keep your belongings safe as you take a stroll along the beach, or have a dance at your favourite festival. Made from 100% Cotton and an additional cotton lining to the full body, this beautiful jacquard tunic also features bust darts at the centre to nip you in at the waist, and an invisible side seam zip. All these extra design details make for a perfectly fitting tunic that will have you looking and feeling great. 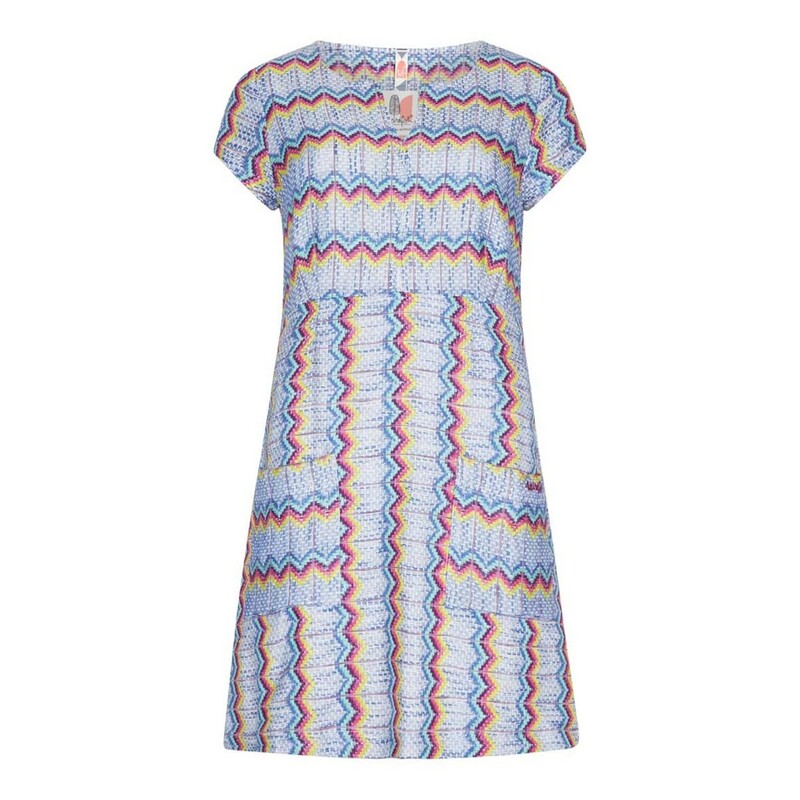 Made from lightweight, super-soft cotton, the fun pattern and bright colours used throughout the Faize tunic is perfect to bring a little fun to your wardrobe this season. Flattering, comfortable and easy to wear - the list goes on! Lovely tunic, fits really well. Got it in the sale so a real bargain. 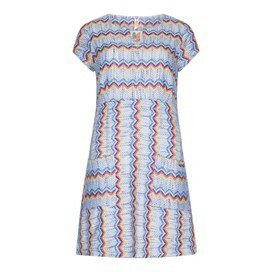 Really lovely quality tunic - quite thick fabric with lining but 100% cotton so still cool in the hot weather. Got it in the sale at a bargain £15, can't go wrong!